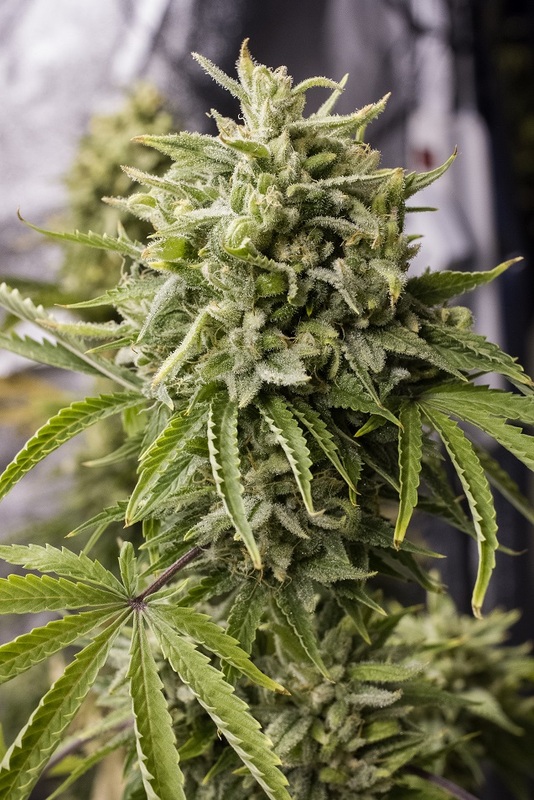 Bubba Kush Auto is an autoflowering cannabis hybrid that takes after its parent Bubba Kush, which comes as no surprise as it is simply its successful automatic version. By crossing a Bubba Kush Pre'98 and a Ruderalis, we have obtained an auto cannabis strain with a character that stays true to its predecessor. It is a small marijuana plant that yields beautiful round compact buds and that does not enjoy humid climates, preferring either the temperate, sunny, warm and Mediterranean ones or the comfort of a greenhouse. The inside of this cannabis hybrid smells both of sweet fruit and citrus fruit and its earthy flavour is as intense as in the original version. The long-lasting powerful effect is deeply relaxing. Recommended for those suffering from muscle pain, insomnia and anorexia because of its many therapeutic properties. Did this in a 16l pot and she was a beauty, literally stayed true as can be to the description above too, lovely yield and overall quality.. keep it up hso!! This is hands down one of the best auto varieties I have ever had the pleasure of growing. It is incredibly similar to the non auto variety of Bubba Kush. Typically most of the auto varieties I have tried have been somewhat lackluster, when compared to the photo varieties they call their parents. The stature of these plants is incredibly uniform, short and stocky. The levels of complexity to the aroma and flavour of this strain are truly unbelievable. There are notes of pine, citrus, diesel, and kush. This strain is a knockout in every way! Great Tasty Strain. High THC compared to other Bubba's out there. This Bubba Kush Auto is absolute fiiaahh. Dark green indica dominant leaves that are broad. Thick. And healthy. This plant will not wilt if you forget to water it for even 12hrs past when you normally would. Which is quite nice. It also can withstand dry climates like winter if your indoor growing. It grows fast and showed pistils within the first30-35days from Germination. The stalks are very strong and can snap if you get too aggressive once week flowering has begun. The flowers grow fast and have tight nose spacing. It produces a lot of trichomes fast and by week 2-3 of flower it's frost covers out onto the fan leaves. In 3 Gal pot it is reaching 28-34 inches on average. Should get a decent harvest of 1.5-2oz in most cases. Smells good like fuel or diesel with a slight tinge of earthy tones and almost chemical fuel when u rub the flower. Very sticky and dank. Def agree with the THC rating of 17-21%. Started the bubba kush auto in a red solo cup, should of began with 1-2gallon pot from start to finish. I forgot autoflowers dont like being transplanted. Anyways, this was one of my plants I just threw outside and forgot about it. Only gave nutrients the first 3 weeks and after that straight rain water till harvest. Now it disnt produce much because I have stunted it but for the amount of flowers that were there. The trichome amount was amazing. Never seen such frosty buds from just using plain rain water suring flowering. To me it had a fruity smell to it. Left a wonderful after taste in your mouth. The high was superb. Another great night medicine. Perfect to help whine down the mind and get the body into relax mode. Another great HSO auto I've ran aside from Blue Dream solid delicious nugs fast finishing headstash. Dont know much about this one. Typical auto... would love to try mixed in with my AutoMazar. Hi i love your seeds and Your Marijuana i live in Iran in my country Marijuana is illegal we cant buy your seed (3seeds) 30$ in my country. we should spend 100$ for 3 seeds in Iran . and 90% of them are FAKE . i love your seed :-( but they are very expensive and Fake in My country :-( i am so sad :-( I Love You again. This is by far the best auto I've grown so far. Very easy to grow ( mine in platoon royal mix) it does like it's notes though, more at the higher end 1:8-2:0ec. Plant starts it's flowering after about 3-4weeks from seed then a further 8 weeks in flower, so in total around 12 weeks from seed to harvest. Buds absolutely glisten with trichomes giving it a silvery appearance, with a deep earthy dank aroma that is just sublime. And it's potent enough to get through most tolerance levels. I guarantee this is one strain you'll want to grow again. I absolutely love it.